Pizza is an almost universally beloved food. Whether you’re a carnivore or a vegetarian, everyone makes a bee-line for the closest pie house -- especially come last call. 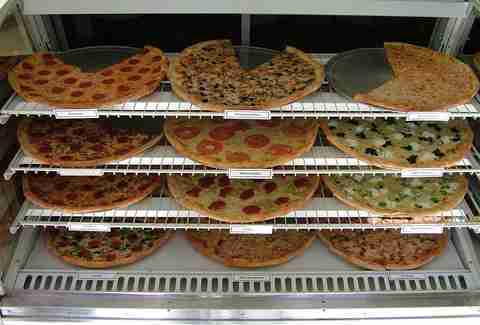 But San Francisco has sometimes gotten a bad rap for its selection of slices. But when it comes to pizza (and everything else, too) we’re not trying to be New York. Sure, we have a few New York-style pizza-by-the-slice joints, but we also boast some pizzerias that are specific to the City by the Bay. We’re talkin’ slices made at bread shops (and everyone knows SF has the best bread in the nation), square slices, sauceless slices, and more. While this list isn’t for the pizza traditionalist, if you’re open to slices in all shapes and sizes, we’ve got the scoop on the best pizzerias San Francisco has to offer. 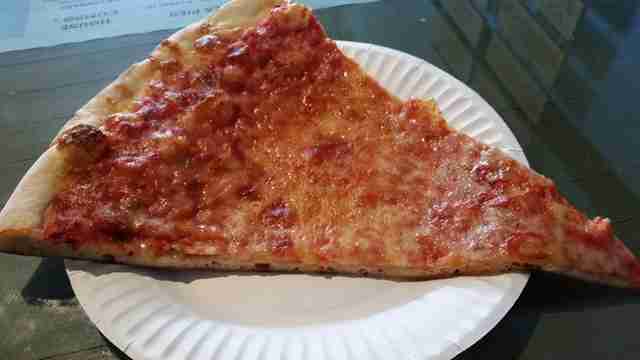 It’s the gold standard for traditional, New York-style pizza, and has earned a seal of approval from just about everyone. 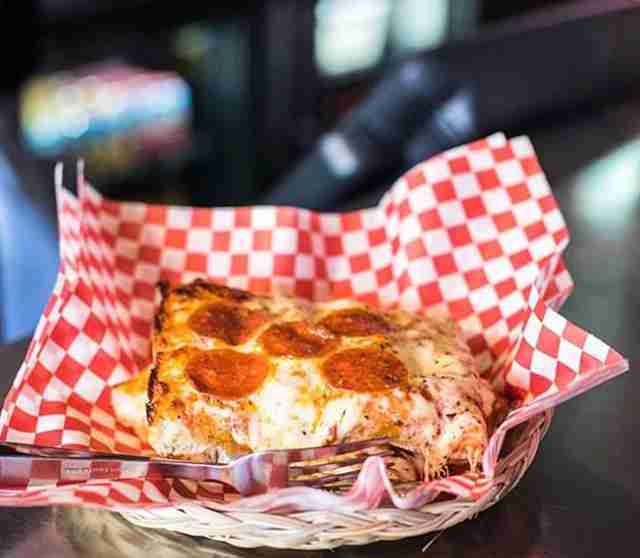 This thin and crispy slice is just what the doctor ordered, day or night (no, it’s not just drunk food, although this spot does stay open late). 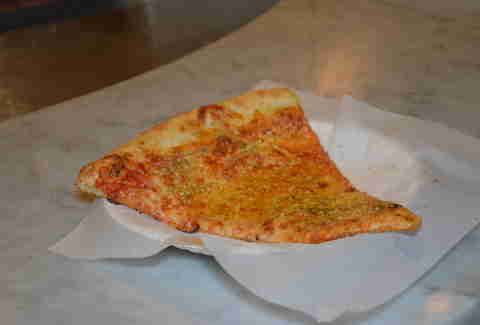 Arinell’s also has those pillowy Sicilian-slices for those into a square pie. You’re gonna get only the classic toppings here, and we’re just fine with that. Mmm, pepperoni. Come in for the “π r²” deal every day from 3:14-6:28pm, where a slice of cheese pie and beer of the day is only $7.22 (get it?). 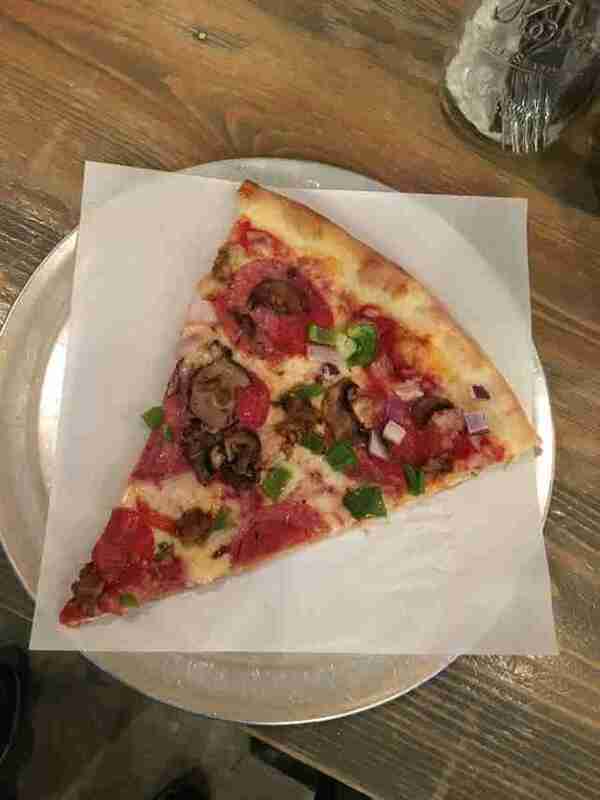 These thin-crust slices are San Francisco’s version of New York-style, meaning you can get slices topped with locally sourced meats and vegetables. Plus, they have a great selection of local craft brews like Russian River and Allagash. Tony’s is on literally every pizza “best of” list, and for good reason: Tony Gemignani is a pizza god. His menu is comprised of ten different styles of pizza (we didn’t even know there were that many). 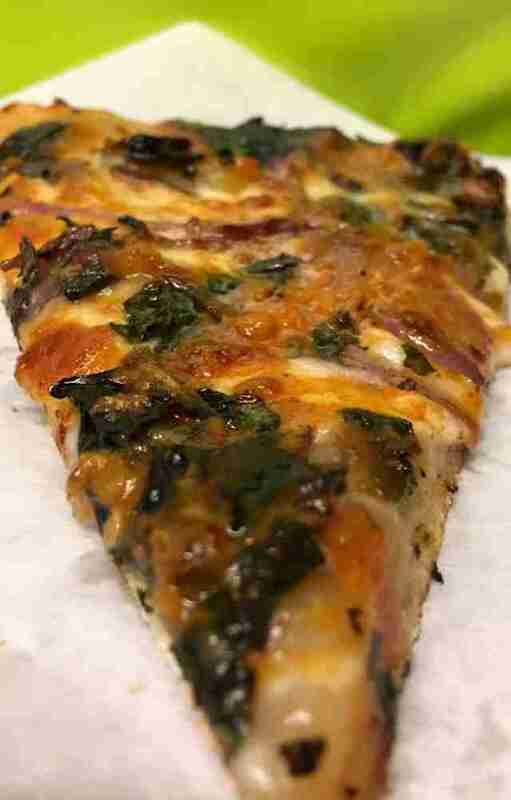 As far as his slice house next door (and in the SoMa), you’ll get to pick from New York slices, Grandma-style, and Sicilian, so you can make every pizza-lover happy. Ah, San Francisco bread... it’s the stuff dreams are made of. 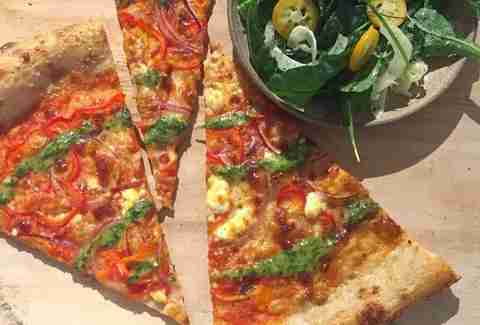 So it’s no wonder that Josey Baker’s lusted-after bread recipe lends itself perfectly to spectacular pizza dough. Every Monday night from 6-9pm, The Mill throws a BYOB pizza party, where you’ll get a chewy, salty sourdough crust topped with everything from fava green pesto to kimchi. Don’t forget to bring a six-pack. Arizmendi is a worker-owned co-op specializing in pastries, breads, and gourmet pizza. Every day, you’ll get a different thin-crust sourdough pizza, with seasonal, organic vegetable toppings like Kalamata olives, arugula, feta cheese, marinated artichoke hearts, and more. 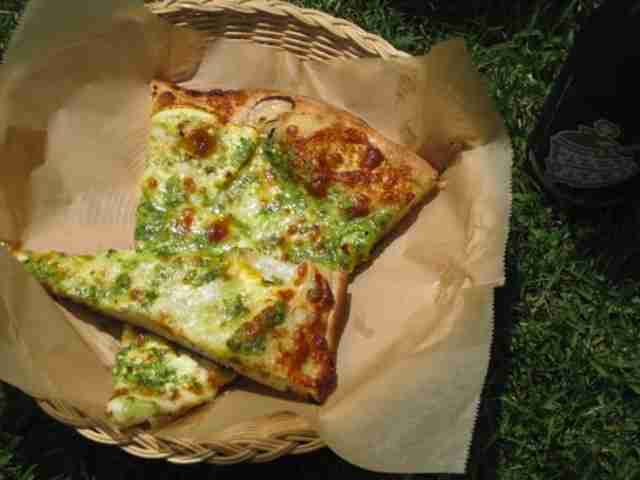 These slices are quintessentially San Francisco, with unusual, fresh toppings on dough with substance and character. The only rule at Cheese Board Collective, the oldest food collective in Northern California, is that all pies must use two kinds of cheeses. We are big fans of this rule. Aside from that, pies vary daily from out-of-the-ordinary flavors. Check out a couple of these super complex combinations: roasted potato, yam, caramelized onion, French brie, truffled Moliterno Pecorino cheese, and chives; baby swiss chard, dino kale, leek, mozzarella, Comté cheese, garlic olive oil, orange and lemon zest, and parsley. They’re a mouthful -- and not for the timid palate. The Brooklyn-born owner and chef of Presidio Pizza Company, Frank Bumbalo, serves up three kinds of pies at his joint -- thin-crust New York-style, Sicilian-style thick focaccia, and Grandma-style, which is both square and thin. 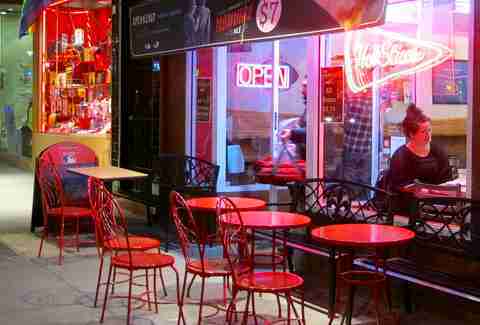 This is the kind of place you could sit down with family or a date and munch classic pies covered in interesting toppings. 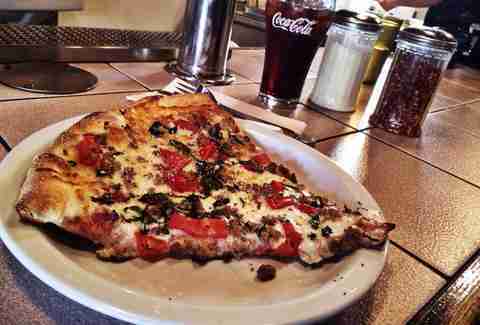 We like Frankie's, which comes with sausage, rapini, garlic, onions, cherry peppers, and Grande mozzarella. 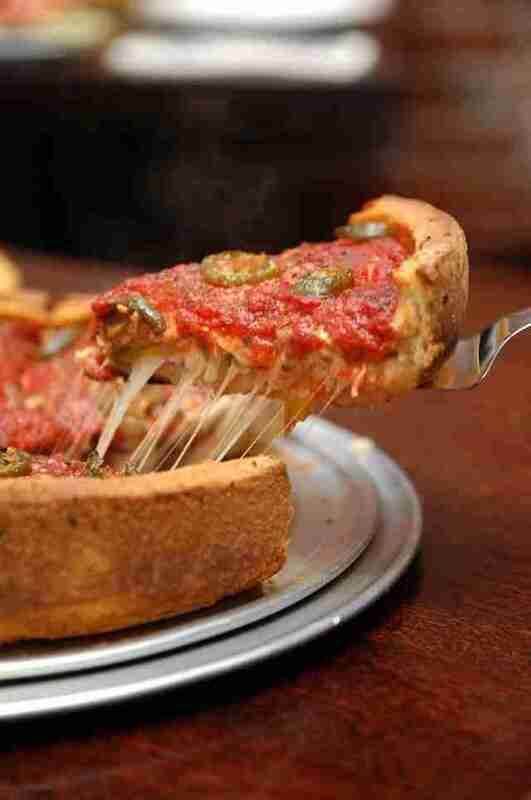 Deep-dish fans will be thrilled to know that Patxi's offers their massive pies by the slice. 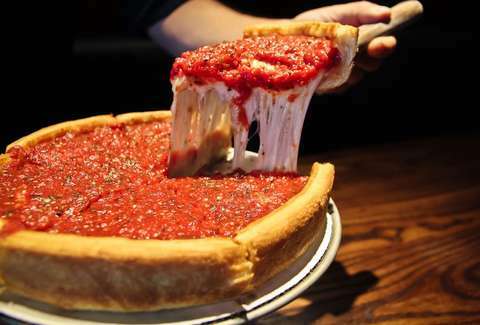 They do deep dish right, and slice seekers can come in seven days a week from 11am-4pm for the lunch special -- a slice of deep dish or thin-crust with salad and a soda will set you back $9.99 (and trust us, one slice of deep dish is plenty mid-day). 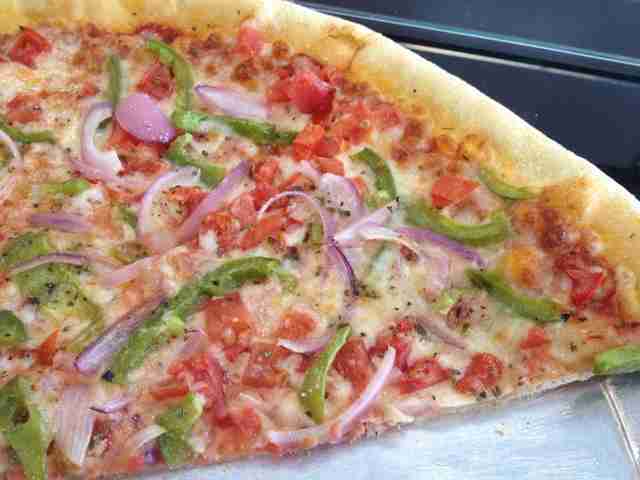 Slices change daily, but include meat and veggie toppings. Oz is your go-to, late-night pit stop. This Castro haunt attracts endless crowds come last call, and for good reason. They offer wacky flavor combinations like mac ‘n' cheese pizza with bacon, hot dogs with jalapeño and pickles, or chicken wings with ranch and onion rings. While this kind of insanity usually means you’ve really gotta tie one on before heading into Oz; don’t worry, they have regular toppings, too. Pro tip: grab a piece of chocolate-covered bacon for dessert. Although Zachary’s specializes in stuffed pizza (that’s two layers), you can stop by every weekday for their equally delicious thin slices. These buttery-crust pies are dusted with cornmeal, which adds some crunch and texture. You’ll get a slice, a side Caesar salad, and a soda for $9.25 from 11am to 4pm. Just make sure you order a stuffed pizza to go for dinner (trust us, it’s brilliant). 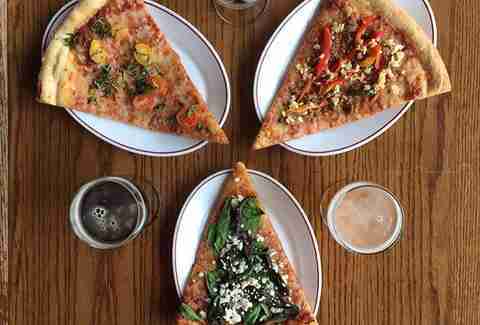 A New York-style slice in the Mission that rivals Arinell’s? Yeah, we said it. 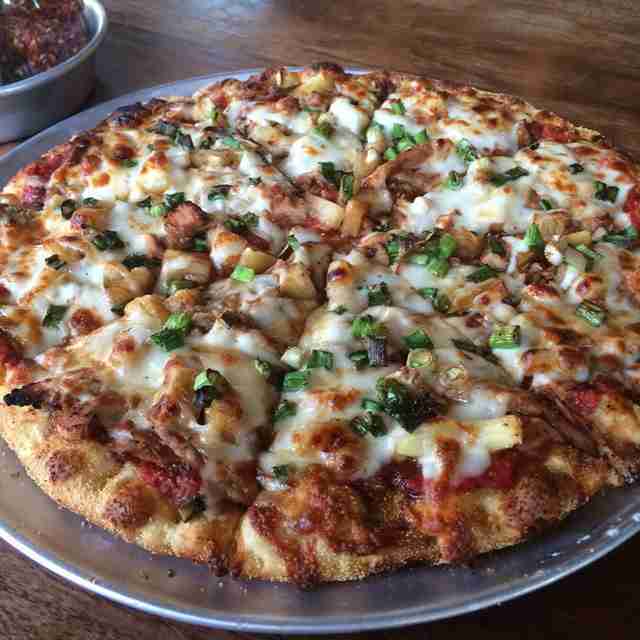 The Pizza Shop sticks to classic combos like mushroom olive, tomato garlic, and pepperoni mushroom. These thin, greasy slices are the perfect midnight snack and will satisfy even the snobbiest pizza fiends. Salty, cheesy, and perfectly dotted with toppings, is one of our favorite go-tos. This small neighborhood joint churns out reliable slices that are thin and crispy, with a bubbly crust covered in gooey cheese. There’s a rotating board of slice options, with fresh California toppings like artichoke hearts, spinach, and mushrooms, as well as sweet Italian sausage. The walls are covered with customers’ drawings, and you’re welcome to generate a piece of artwork while you wait (or snack on your ‘za). We’re in San Francisco, so of course we’re excited about another sourdough crust spot. This one is thin, crispy, studded with cornmeal, and has been feeding the neighborhood since 1975. This is a slice we could eat day or night, with plentiful, fresh toppings like whole garlic cloves, sausage and linguiça, bright green pesto, and massive black olives. Located all over our fair 7x7, Escape From New York is the perfect antidote for a wild night out or simply a quick midday stop for a reliable slice of pie. 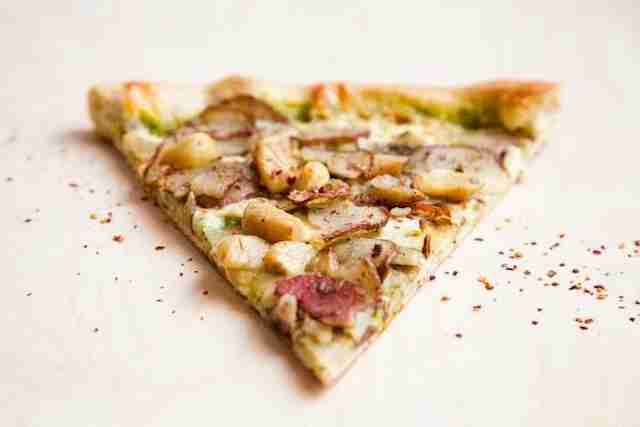 They’re known for the potato, pesto, and garlic -- a thin slice bursting with flavor. All the locations stay open late, so this is a perfect pre- or post-drinking pitstop. 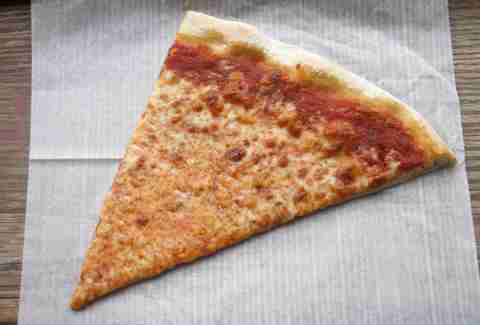 Pizzeria Avellino comes from an Arinell’s veteran, so you know you’ll get that extra thin, NY-style slice here. You won’t see any of those fancy California toppings at this joint, so come for classics like cheese, sausage, and mushrooms. Eloise Porter is a Thrillist contributor and equal-opportunity pizza lover (except for vegan pies). She expects some seriously angry comments about how SF doesn’t have good slices, so do your worst.